May has been an interesting month for The Center for a Stateless Society (C4SS). We have added some new features and people to the roster and reached a couple of milestones in our development. For our supporters that have been following C4SS’s extension into South America, Brazilian interest and traffic has continued to best Canada and the United Kingdom combined. C4SS has expanded your ability to support our work by joining the GITTIP network. The goal of this blog is to promote a future where none of us will have to work. And by “work” I don’t mean just giving effort, but labor that we give to others under systematic duress. A good example is the workers who work in retail or low-paying jobs because they have no other good options. 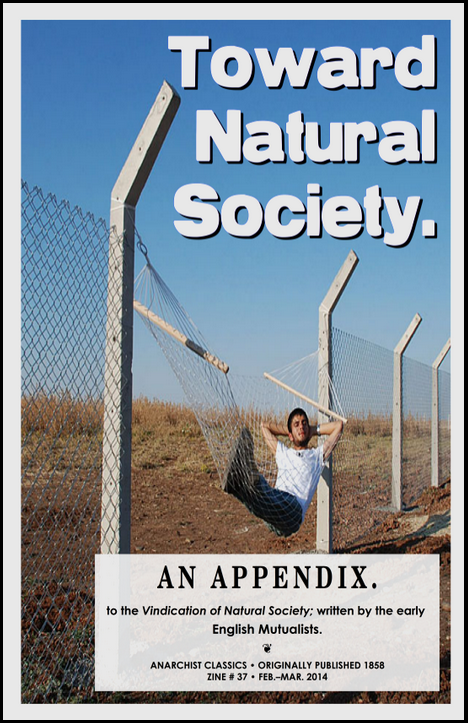 The Students for a Stateless Society (S4SS) has release its second issue of The New Leveller. Coal, along with other fossil fuels, are the primary sources of energy for the United States. To date, fossil fuels provide 85% of the nations energy. Coal is the primary source of energy for the United States, providing over half of the electricity consumed by Americans. On a global scale, the United States has the largest known reserves of bituminous and anthracite coal. Much of the coal that is mined in the United States comes from the Appalachian Mountains. Coal mining in the region has created systemic poverty, untold amounts of human suffering and a precipitous decline in biodiversity in one of the worlds oldest temperate rain-forests. General introduction to the study and why I am conducting it. Geologic time and the rise of the Appalachians. Geologic time and the formation of coal. Exploitation of coal reserves and its impact on the environment (special regard to water quality and biodiversity). Appalachia and the British coal connection. The rise of king coal and the community store. From pit mining to mountaintop removal. Coals dominance of Appalachian landscapes and both the Appalachian and national economy. Kevin Carson’s “With ‘Socialists’ Like Lawrence and Wishart, Who Needs Capitalists?” was cited over all other possible commentaries in Ben Mauk, “Steal This E-Book?” blog post on The New Yorker. 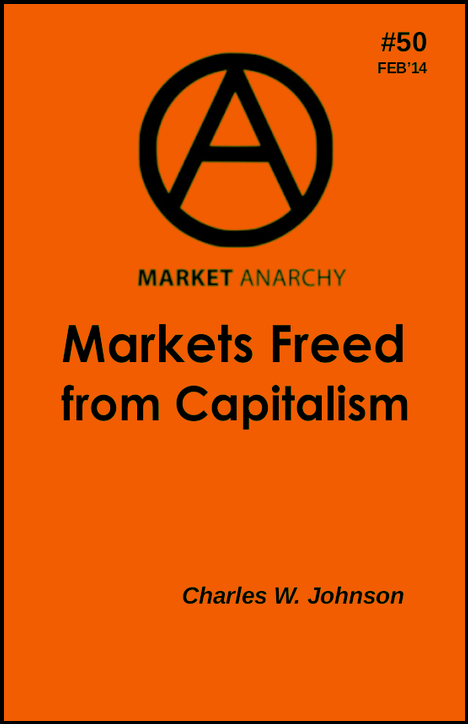 The Lawence and Wishart controversy also warranted a follow up – and left market anarchist situation summary – with Kevin Carson’s “Lawrence & Wishart: The Stone That The Builders Refused“. J. Edward Carp‘s Capital Uber Alles? Clark Ruper‘s “Between Radicalism & Revolution: The Cautionary Tale of Students For a Democratic Society,” over at The Students for Liberty blog kicked off an fruitful conversation regarding movement strategies, asking for greater perspective and refined goals in order to keep the tent of libertarianism big and the movement focused. Though we are sympathetic to the underlying motivations and Erasmian warnings against “enthusiasm”, we, ultimately, part ways in favor of a stigmergic and fractal libertarianism. Cory Massimino and Joseph Diedrich concluded their Mutual Exchange “Private Property: How, When and Why” just in time for our newest Mutual Exchange over contested conceptions of privilege. This Mutual Exchange is, unfortunately, not in time to make Roderick T. Long‘s dead line for papers on the same topic: Libertarianism and Privilege. We hope that it will be a welcome parallel discussion with some cross-pollination. The opening article will be Casey Given’s, “What’s the Point of Checking Your Privilege?” with responses and critique from Nathan Goodman, Kevin Carson and Cathy Reisenwitz. Erick Vasconcelos has agreed to review AK Press’ new book “The New Brazil: Regional Imperialism and the New Democracy“ and Augusto de Franco‘s “Hierarchy“. Joel Schlosberg wants to further explore the ideas of Jeremy Rifkin by reviewing his latest book, “The Zero Marginal Cost Society“. Kevin Carson has received a review copy from PM Press of their new book, “New Forms of Worker Organization: The Syndicalist and Autonomist Restoration of Class Struggle Unionism“. For the month of May (one week left until bandwidth reset), C4SS Media podcasts were downloaded a grand total of 8089 times, or approximately 577 downloads per episode. For the first month of podcasting, I would say that “Feed 44,” the unofficial-official name of C4SS’s podcast channel, has been a smash success. While the only content currently on Feed 44 are recordings of past C4SS articles, in June C4SS Media plans to introduce new, original content to the mix. We’d also like to officially welcome Max LaFave, Juliana Perciavalle, Christopher King and Jason Lee Byas to the roster of content creators and voice talents. The C4SS Tor Node has successfully been transferred from Mike Gogulski, who is moving on to more interesting projects, to C4SS proper and paid up through July, 2014. You can check out the node’s status here: Tor Network Status — Router Detail. Expect a fundraiser soon to keep this project going, now on its third consecutive year. Find out how you can use Tor or set up your own Tor Node: “Tor: The Onion Router“. 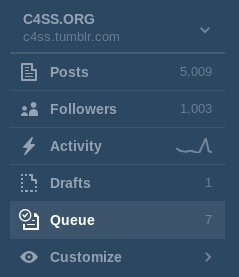 Another milestone of humbling significance to our diligent social media coordinators is C4SS, finally, becoming Tumblr famous. 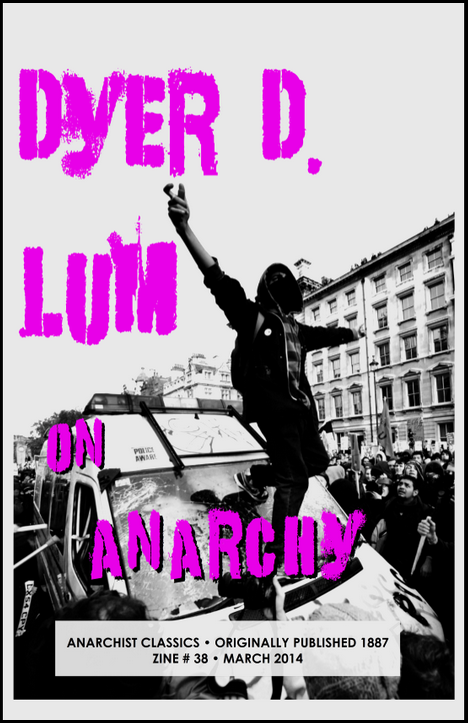 C4SS has been a long time partner with Charles Johnson‘s Alliance of the Libertarian Left Distro and would like to highlight the Distro‘s newest additions to its Market Anarchist and Classic Anarchist zine collections. For every zine that you purchase through the Distro, C4SS will receive a percentage. 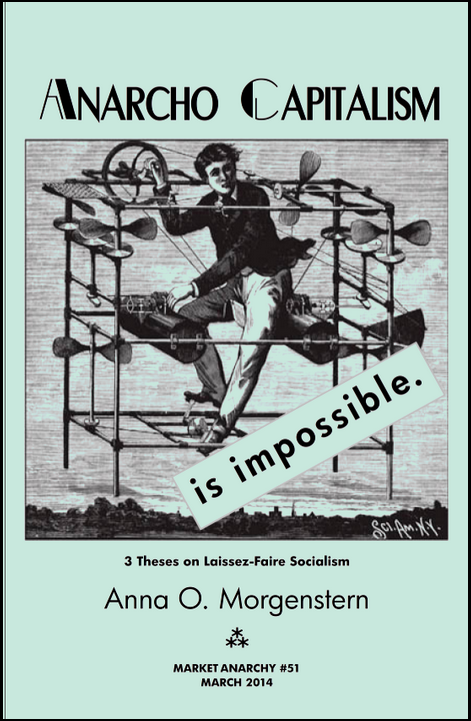 Another great way to support C4SS and brush up on some classic anarchism.